writing – Bring it on life! Agreed. 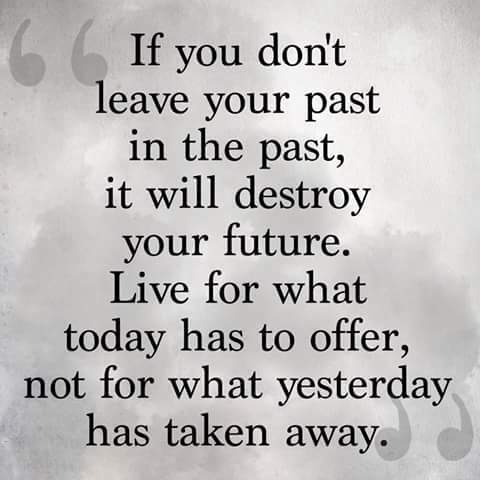 Let’s leave the past and move ahead. Past is something to be left behind. But isn’t it something to learn from? To not repeat the same mistakes over and over again? Like we write down everything we spend and we scrutinize it once to be able to rectify errors and avoid bad repititions. We do that, don’t we? And true we keep that aside and never look at it again. But is it possible with the past? Each time, somehow life brings you on a full circle crossroad point. And I go like déjà vu. I’ve been here, done this, and jumped in the well with open eyes. And Lo and behold, here am I again. Now what? The brain. That’s what the brain does. It gets itself eloctrocuted, short circuited and phusssss. Full stop to the present. And back goes the time machine, rewinding and reliving every single moment. Every moment of agony, magnified. Tears double, heart cringes harder, but the brain is frozen. In the past. I was a strong believer that anything that is constantly drilled can become a strong habit. Now I waver with this thought. I taught my brain with various ways of disciplining it, no rewinding. If really badly, then just a peek into the past. Not relive it. Not again. But guess what? My brain replied that it’s not his sole fault. The moment is the culprit. The moment is an alarm, its a warning, it’s a reminder, that look, don’t flow away with emotions, look at what went wrong. Don’t do it again. But do you know what? You know what brain? Do you know why I am up, 12 in the night, smashing away at the keys of my phone? Of course you do! You even know what my heart wants. I am up tonight, because I wanted something so bad years ago, that I did everything I could to get it. Later I wasn’t sure if it was worth the trouble. Again life has brought me back to a similar point. I don’t see two roads diverging in the woods. I never did. I always saw only one road. And it was almost never trodden by. God knows at how much lengths I go to, to get what I want. Now I am here, the road ahead of me crystal clear. I can’t see the hidden trapdoors. I don’t know how deep I am going to fall, but I know I am climbing again. Climbing a very high mountain. One. More. Freaking. Time. I am not scared. The alarms are going off in my ahead. My heart is screaming, why again? Hasn’t the past taught you enough? Why can’t you just go with the flow. No heart. I am not built for that. I want it. All of it. The rains, the storms, the breeze and the springs. Forgive me Lord, but you have made me a warrior. I defeat the fears of my heart each night. And I am truly sorry heart, but buckle up, it’s gonna be a very rough ride ahead. The above is how my lists of To-Do things always looks like. Only this time, I don’t have a list. But a lot of things to do. So let’s see. Recently, a new idea popped into my head. I’d design my own saree. Mom had given me a plain green saree. I bought a fancy lace. So now I am getting the lace onto the saree. I shall do some stones sticking on it too. That is one huge project I am on. I plan to wear it on our housewarming ceremony. Let’s see how fast I can get that done. Most of my daily tasks are mind-numbing. Its all action and empty-brain chores. I love thoughtful work. And blogging is the only thing I do in a day that keeps my brain ticking. I do have lots of posts in my head. Just need to grab time and type them away. It has been a while. A long very while. But I am back. To writing. To my dormant Passion. A lot has changed. A lot has been the same. My fingers now pause often. The flow has weakened. There is a lot of rushing of thoughts, and too little to type out. But it is a beginning. I am not that much dowsed with lack of enthusiasm. I want to walk, lift myself, and move. I feel like a huge rock. Stagnant. I have to roll, to move. To get back on track. To do the things I love. To find time. Good Luck, to me, and to all those who often fall down and wake up slowly and relearn to move ahead.